Our selection of free holiday eCookbooks is a terrific cooking resource. Each of our free holiday eCookbooks includes a collection of recipes that are perfect for that holiday, and your whole gang is gonna love 'em. Whether you're looking for Christmas eCookbooks, free Thanksgiving recipes, or a great free Easter eCookbook, you'll find that...and lots more Mr. Food Test Kitchen favorites. You can easily download and print out each of our free holiday eCookbooks for easy reference while cooking. For help downloading our eCookbooks, see our help document here. Recipe for Romance: 30 Valentine's Day Desserts and Drink Recipes: Set the mood with 30 romantic recipes that will melt any heart! From decadant cakes, to candy, to fun sippin' drinks; you and your sweetie will be feeling the love. Treats for Your Sweetheart: 14 Valentine's Day Desserts: These easy-to-make fruity and chocolatly, fluffy and gooey desserts will turn anyone into a "kitchen" cupid! Nothing says true love like homemade, from-the-heart treats! Easter Celebration: Whether you're hosting a family get-together or you need some great take-along dishes this eBook, sponsored by the American Egg Board, is loaded with delicious traditional Easter recipes for entertaining this spring! Everything Easter: 34 Effortless Recipes for Easter Brunch, Dinner & More: You'll be hopping with egg-citment when you see how easy Easter can be! Start planning your Easter menus now so you'll have plenty of family time! Easy Breezy Brunch: 26 Easy Brunch Recipes for Any Occasion: Filled with easy beakfast and brunch recipes for any time of year, this book will help you plan a Mother's Day meal that will show your love and appreciation! 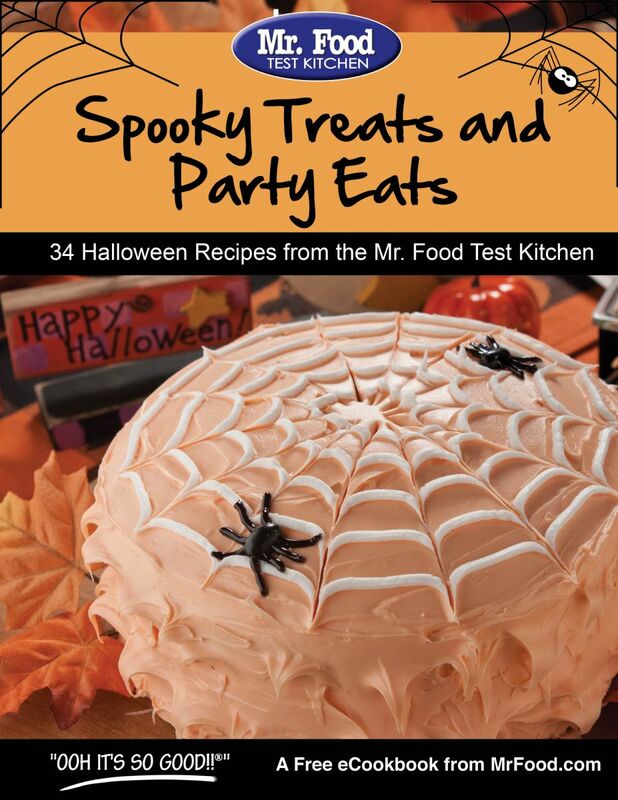 Spooky Treats and Party Eats:34 Halloween Recipes from the Mr. Food Test Kitchen: This spook-tacular ebook features Halloween-themed drinks, appetizers, dinners, desserts, and more! 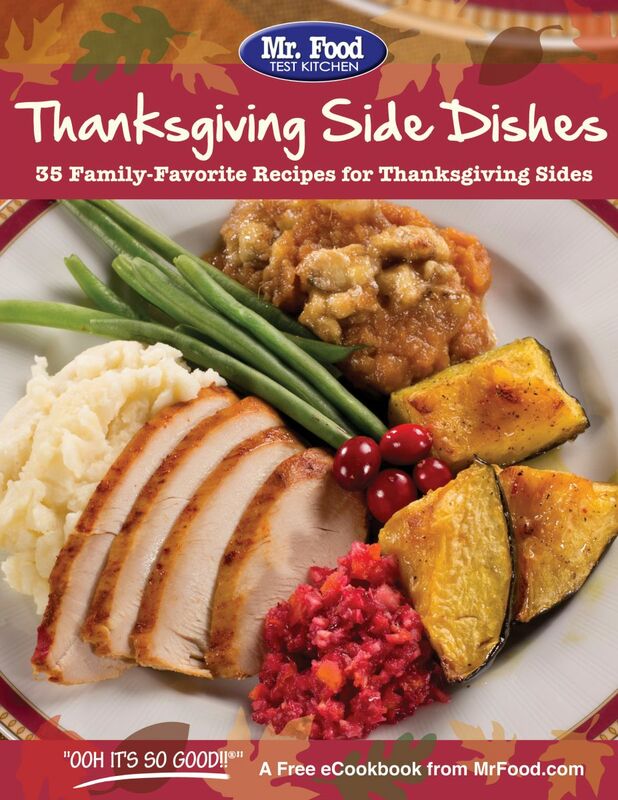 Thanksgiving Side Dishes: 35 Family-Favorite Recipes for Thanksgiving Sides: This ebook has every holiday side dish recipe you can think of, making your holiday feast a spectacular event! 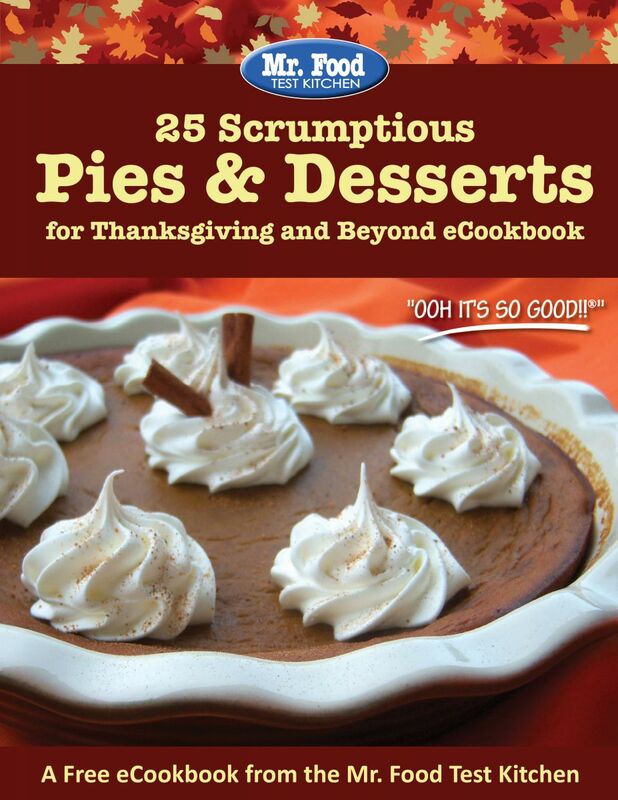 25 Scrumptious Pies & Desserts for Thanksgiving and Beyond eCookbook: This collection features traditional Thanksgiving desserts made easy, along with some fun new ideas that will surely enhance your feast! Thanksgiving Feasts: This free eCookbook features foolproof recipes, perfect for your Thanksgiving menu. Full of Thanksgiving survival tips, traditional and new recipes; you'll be all set to enjoy a hearty and flavorful holiday meal! The Ultimate Thanksgiving eCookbook: 40 Must-Have Recipes to Make Your Holiday Spectacular: These holiday recipes are spectacular, stress-free, and everthing you need to plan a perfect menu! Holiday Helpers: 30 Easy Holiday Recipes for Thanksgiving and Christmas: This eCookbook is packed with tasty recipes that'll make your holiday meal planning a whole lot easier! 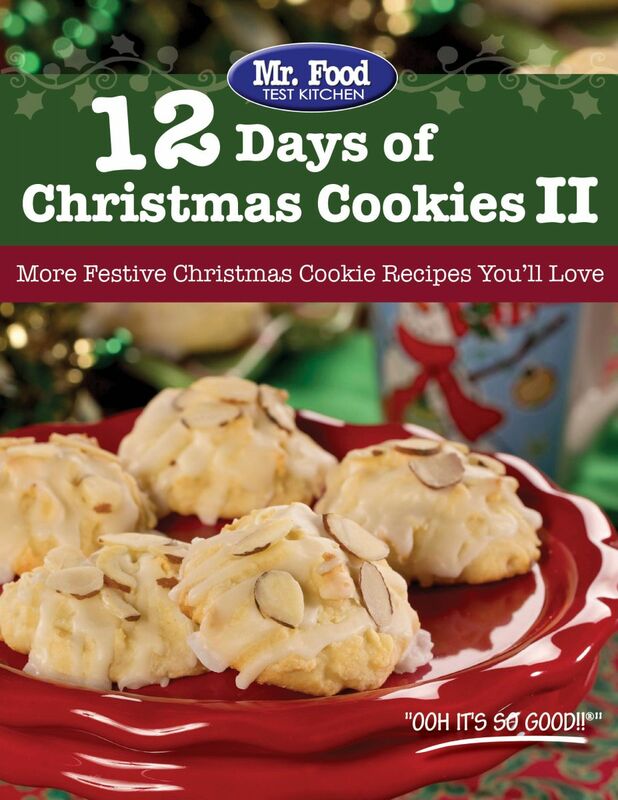 12 Days of Christmas Cookies: Celebrate the 12 Days of Christmas with yummy cookies! We've hand-picked the perfect mix of cookie recipes, so you'll have something for everyone in your cookie jar this Christmas. 12 Days of Christmas Cookies II: More Festive Christmas Cookies You'll Love: It's that time again, time to trim the tree and pick your favorite cookie recipe! This eCookbook will get you in the holiday spirit more holiday cookies! 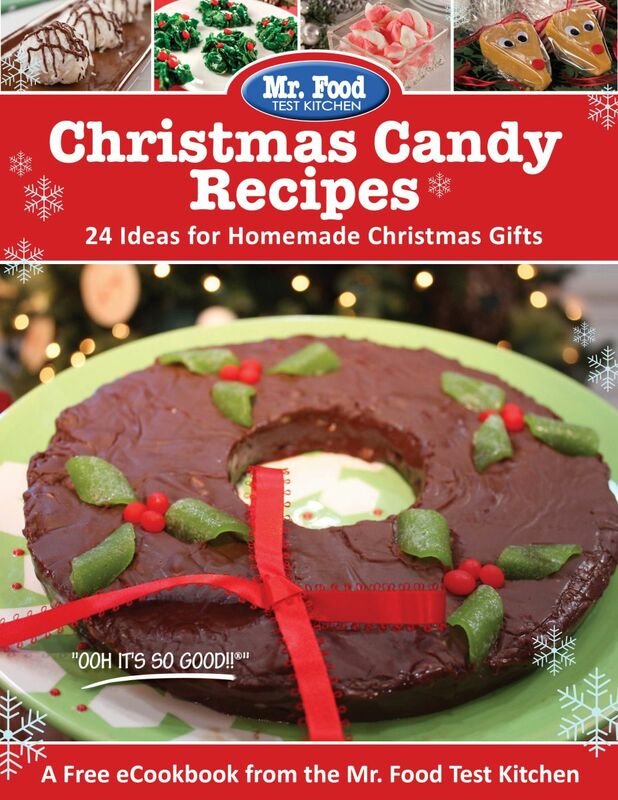 Christmas Candy Recipes: 24 Ideas for Homemade Christmas Gifts: Here you'll find tasty, homemade, Christmas candy recipes that you and all your loved ones will enjoy. They make great gifts too! Christmas Celebrations: 5 Holiday-Special Menus with 34 Recipes: This festive collection includes a variety of recipes so no matter the Christmas celebration, you'll be ready with happy holiday feast! Scrumptious Christmas Desserts:'Tis the Season for 21 Holiday Treats: From Christmas cakes, to fudge, to kid-friendly treats. These dessert recipes will get you in the Christmas spirit! Hassle-Free Holidays: No matter what you're celebratingr, the holiday clock is ticking away fast. And we want to make things easy and hassle-free for you with these tasty, traditional, and newly-inspired recipes!